A DEXA scan is a painless, easy test and usually takes 15-30 minutes. It is a precise test and also safe as the radiation dose is very low. 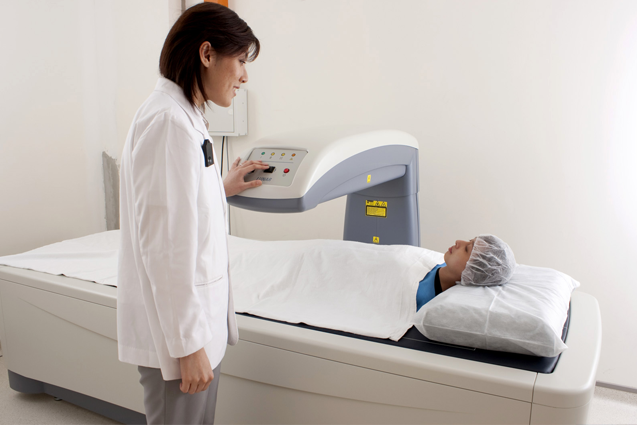 You will be asked to lie on your back in two different positions; a scanner will pass over areas of your body. The test uses x-rays to measure the density of your lower back, one or sometimes both of your hips and occasionally other bones such as your wrist. Unless instructed otherwise, eat normally on the day of the exam; but avoid taking calcium supplements for at least 24 hours prior to your appointment.